mike downes - we make videos to help people learn: The rise and rise of Sangat TV - what is the technical kit behind the camera? The rise and rise of Sangat TV - what is the technical kit behind the camera? Sangat TV has risen this week into meteoric stardom. I've heard mutterings from other media types on how impressive their work has been and asking questions like how do they do that? In this post, I want to explore the how we can all produce a TV station if we wanted to here in Warwickshire and Coventry. To stream live video over the internet, you only need a standard laptop, webcam and WiFi connection, that's it. CI Kerry Blakeman from West Midlands Police has been using a combination of live and pre-recorded video clips armed with nothing more than an iPhone. Sangat TV was only launched in September 2010, broadcasts on Sky 847 and justin.tv. Ut's a Sikh lifestylke channel and is owned by the Sangat Trust. By now, many people know of their heartfelt and charismatic presenter Upinder Randhawa. So, although I have an email out to Sangat TV, I fully expect them to be far too busy to reply - sure they will when all becomes measured and calm. 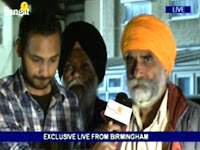 It appears Sangat TV use LiveU technology which is supplied by Nuneaton's Garland Partners. For those new to this (like me), we usually see a minivan from the BBC, Sky or ITV parked outside a court house with a satellite dish the size of a small trampoline pointing to the clouds. Reporter talks to camera, camera beams to minivan to satellite to studio to out TV screens. But not any longer, as this tweet confirms what I was thinking: Birmingham Riots covered last night using @LiveU 3G mobile backpacks supplied by @GarlandPartners, fab coverage in the heart of the action! And yes, I have a call out to Garland Partners to find out who else, if any in Warwickshire and Coventry are using this kind of kit. 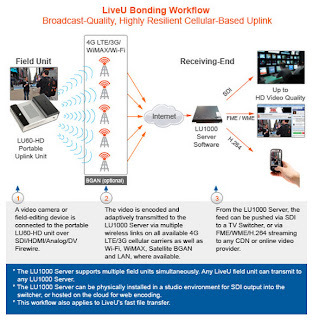 For those still reading, we have a Portable Uplink Unit transmitting multiple mobile data to a cellular carrier to a server which is then streamed to web, TV or smartphone. About six weeks ago, at Godiva 2011, CI Kerry Blakeman was reporting local policing video updates from War Memorial Park. Behind the scenes, we were all trying to find out the best way to upload good video content without broadband/WiFi - and there wasn't one. But, now with a little thought and planning, I'm sure we all can club together and make Warwickshire and Coventry it's own TV station. I'm sure Sangat TV will help out with some advice. I have no idea about costs, but I think for 835 million people in this area, local TV could be an option. If you have any contribution to make in this discussion, please leave a comment or email. 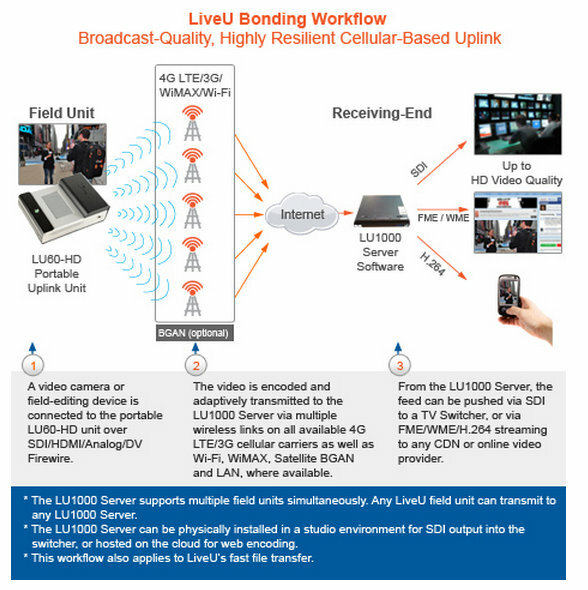 Links: Sangat TV, liveu.tv/technology and Garland Partners. Update from @christopherw (Sun 3.43am): @wiKenilworth 3 things you need to know: 1) only two real competitors, TVUPack & LiveU 2) they're all VERY expensive 3) No really, VERY! Very interesting Mike, a large audience if there is 835M pop in the area! There's approx 5.4M in the WM. I've been filming on Super 8 since the late 60's then to a good analogue recorder. Technology has moved on rapidly over the past few years.